Geneva's Flowers by Geoff's Mom Pattern Co. Kits From Other Designer's Patterns > Geneva's Flowers by Geoff's Mom Pattern Co. This 18” mat is a Geoff’s Mom Pattern Co. design. I have made a brighter version of the pattern and kitted it in all wool. All the applique wools are beautiful, bright hand dyed wools. The background and backing wool are included. Geoff’s Mom Pattern is included in the kit along with a photo of my bright version, stitching and thread suggestions and embellishment buttons. 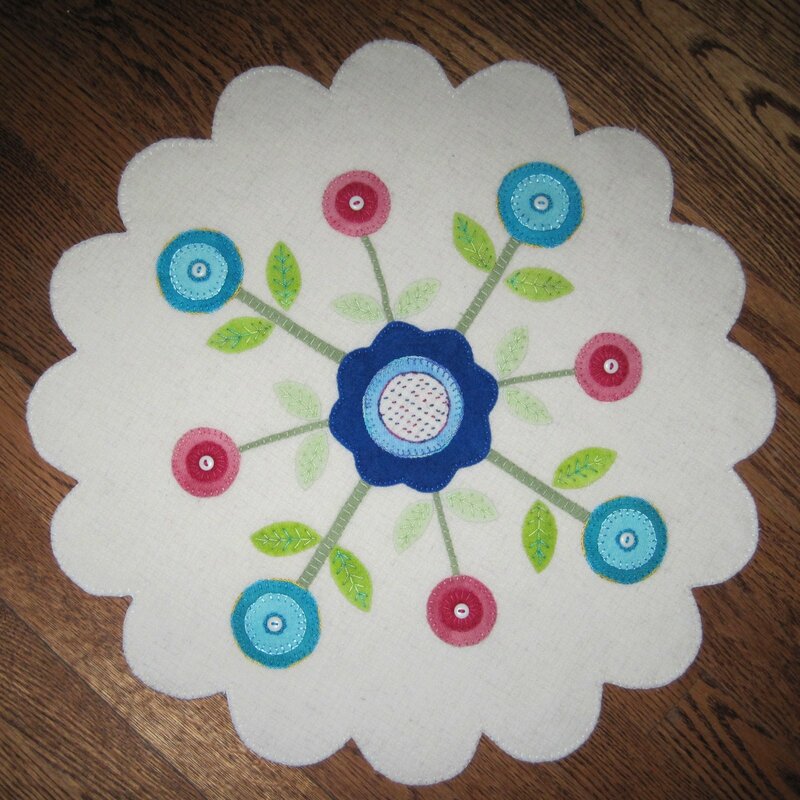 A perfect cheery Springtime or year round mat.